Find past episodes of the show below and be sure to subscribe on iTunes so you never miss an episode. This week’s podcast is a re-broadcast. The topic is about participating rather than isolating when you have ADHD. This week’s podcast is a re-broadcast. The topic is preparing for the New Year. This week’s podcast is a re-broadcast. The topic is resistance and ADHD. 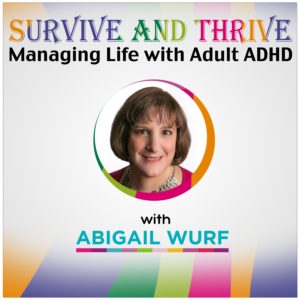 This week’s podcast is about ADHD and forgiving yourself.